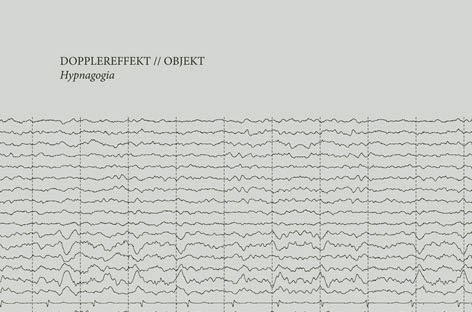 There is an upcoming split 12", Hypnagogia, between Dopplereffekt and Objekt. It will be on Leisure Systems, who also released Dopplereffekt's Tetrahymena EP in 2013. The Dopplereffekt track is called 'Delta Wave'. It won't be available until September 1st and will be on 12" and download. This revealing blurb about it is on the labels website. More from Resident Advisor at this link. On the Leisure System Facebook they have been saying that 'Delta Wave' can be heard somewhere online but they want people to find it. I certainly burned up some search engine time and looked in some likely places to no success but from today (6/8/14) they have put up the Objekt track at this link. 'Delta Wave' now shared here. Hallucinations storm the border between wakefulness and sleep. Accurate perceptions give way to distorted visions, senses torn and split through. Borne of mutual inspiration, legendary duo Dopplereffekt and sonic adventurer Objekt present Hypnagogia, a split 12″ on Leisure System, with each transmission derived from a shared journey into extrasensory perception and subconscious thought. Described only as bassy techno in the RA piece you can hear some of the Berlin based Objekt's music and mixes at this SoundCloud link. Leisure Systems have already had to do a repress of Dopplereffekt's Tetrahymena 12" with a generic black sleeve. Discogs link for it here.